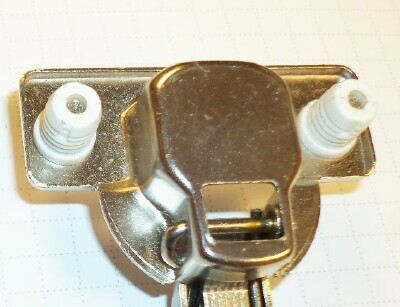 Bore or "Tab" location is 5mm from edge. Pattern shown below is for use with dowels. 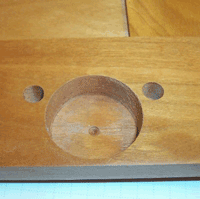 Use same pattern without the smaller dowel holes for hinges using wood screws. 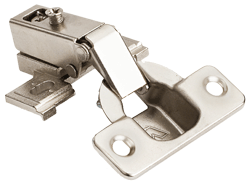 Do I need Press-on or Screw-on hinges? 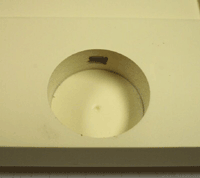 Note: The press-on type hinge was developed for the manufacturers as a way to automatically align hinges and place them on the cabinet door in the proper location by just "pressing" them into the holes. The dowels in that case are already mounted. 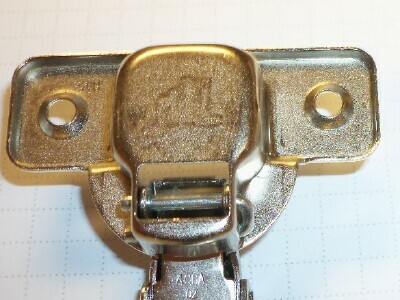 If you are replacing this type of hinge, you can get either type of hinge and either use the new dowels (which are already attached to the hinge) or you can use the screw-on and just use the screws already in your doweled door.